This post is part of the series me gathering up good guides for twitch streamers series how to setup the stream and do all the nitty gritty things. Social media links in the stream advertise your stream really well and if you like a minimalists layout. It’s not that easy usually to show all your social media platforms in the stream. This cool tutorial will help you around it with changing images and text! 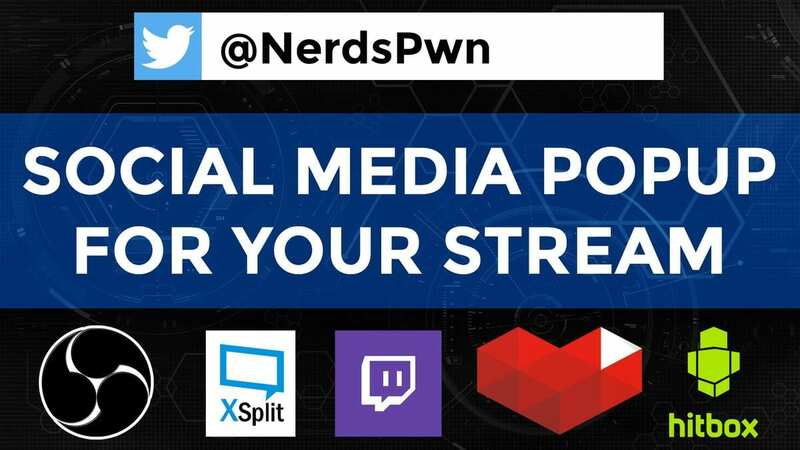 In this video you can see: How To Add a cool Social Media Popup for Twitch, Hitbox, or YouTube Stream from NerdOrDie.